Another flying related remix, this time from Cud and their song Purple Love Balloon (a.k.a. Flotavius Purpolis Passionatum). 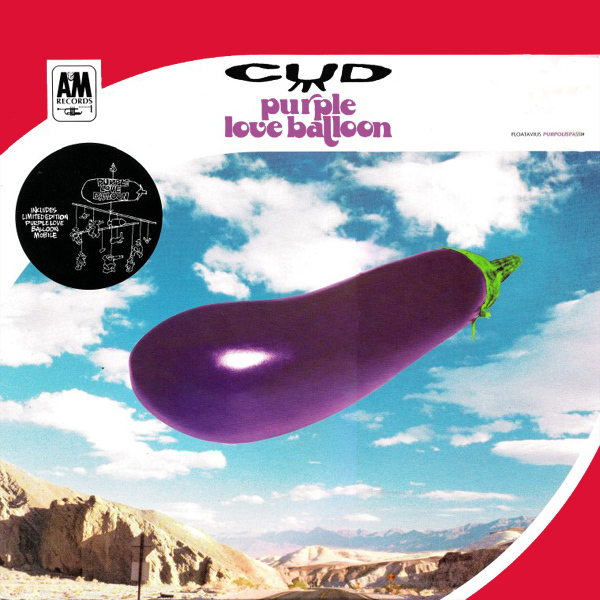 On the original cover we find an odd interpretation of the song's title, with the purple love balloon in question actually being an egg plant. OK, so it's purple but it's not really a balloon. On the remix we find a babe standing around holding a number of different colored balloons. So as there is no confusion, the specific purple balloon that is the love balloon is indicated by a purple arrow. Aubergine!